I am not an animal person. That is usually a statement that elicits muted gasps or bewildered stares from avowed animal lovers. I respect people who bond with animals and have a healthy respect for the connection between humans and animals. On the other hand, I really don’t understand people who project human-like qualities onto their animals and have birthday parties for them. If you love animals in such a manner, you just can’t expect those who don’t to feel the same way as you. For one thing, most people who don’t own pets don’t appreciate the tremendous financial responsibilities that come with it. A dog, for example, is a living being that must be taken care of as a living being. You have to walk them, attend to their medical needs, and feed them. 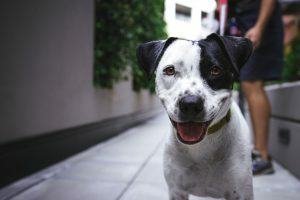 Depending on your level of training in regard to pet ownership, and the kind of pet that you own, you might have to deal with property damage as they grow. Also, a dog isn’t going to just chill out in their dog house like Snoopy until you want to play with it. It’s more than an issue of walking it. As a pet owner, you have to rearrange and adjust your personal and working schedule to make time for your pet. My point is that unless you are truly prepared to own a pet, then a pet is going to own you. So, let’s talk about the economics and personal responsibilities inherent in owning a pet. It’s just not for everyone. You might end up paying over $1,000 a year in pet care related costs when you adopt or buy an animal. By some calculations, you might end up paying over $14,000 in pet care related costs over the lifetime of a dog. Or, about $5,000 for a cat. Anyone who says, “money doesn’t matter,” obviously has more than enough money to spare for a pet. You must appreciate how expensive it is to take care of a pet, such as a medium or large sized dog. Spaying or neutering a dog can cost upwards of $200. A medical exam can cost around $100. You should have anywhere between $1,000 to $4,000 in an emergency medical fund set aside just in case your pet needs emergency surgery. Emergencies happen all of the time and you don’t want to find yourself trying to decide between your pet and your savings. You and your pet may need training so that you walk your pet instead of your pet pulling the leash and walking you. That can cost hundreds of dollars. Pet care insurance, which is a real thing, can cost hundreds of dollars a year. Food can cost hundreds of dollars a year. Think about how many extra accommodations that you will have to make for your pet when you travel. Imagine getting dressed for work and making time to walk your dog before going to work. Or canceling or rearranging social activities with friends to attend to your pet’s needs. Your landlord might not allow pets, so your choice of pet may affect where you live. If you own a home, you might have to pay a deposit for potential pet related damages. Growing, untrained animals soil carpets and furniture, tear up clothing, and may be overactive in their need for attention. Unless you are truly committed to becoming an animal person, you have a lot of stress in store for you. An animal doesn’t ask to be bought or adopted. I was seriously considering buying a beagle or foxhound, two of the more affordable breeds of dogs, before I thought about the immense responsibilities. The judgement of avowed animal lovers doesn’t keep me up at night. However, the idea of spending hundreds or thousands of dollars caring for a pet, and then changing my mind does. Hang out with friends who own pets. Pet sit for friends from time to time. Ease yourself into becoming an animal person. Its more for the benefit of the animal than you. Don’t the be the kind of person who gets a pet and then abandons it. About 8 million cats and dogs are euthanized every year in animal shelters and pounds. Appreciating the responsibilities of pet ownership is more important than you can know. Make sure you are up to it. Affordable Pet Ownership: It is Possible!